Are Cancer Mutations Due to Random DNA Copying Mistakes? Many cancer causing mutations are attributed to inheritance and environmental factors. Errors associated with DNA replication may also play a prominent role in cancer development. There are opportunities for DNA replication mistakes at every cell division. These mutations can accumulate and cause uncontrolled cell division that can lead to cancer development. Cancer is more common in tissues that divide often. For example, colon cells divide more frequently and are likely to introduce random DNA replication mistakes. In contrast, lung cancer is more likely associated with mutations influenced by environmental factors, making it less prevalent. As we age, the risk of cancer due to random DNA replication mistakes may increase. A previous publication made a claim that cancer was due to “bad luck”. Recently, a follow-up study also suggested that cancer risk is most strongly associated with how fast stem cells replicate. This can lead to random genetic mistakes that occur in dividing cells that may lead to cancer. Using existing data, 32 types of cancer from patients in 69 countries were analyzed. Two-thirds of the cancer mutations were associated with random DNA replication mistakes. Many factors can influence the development and progression of cancer. It is difficult to comprehend the complicated nature of cancer and identify a single cause. However, further research on chance genetic mistakes is needed to help better understand its development. Environmental exposure, lifestyle and inherited risk are also important as many cancers may still be preventable. 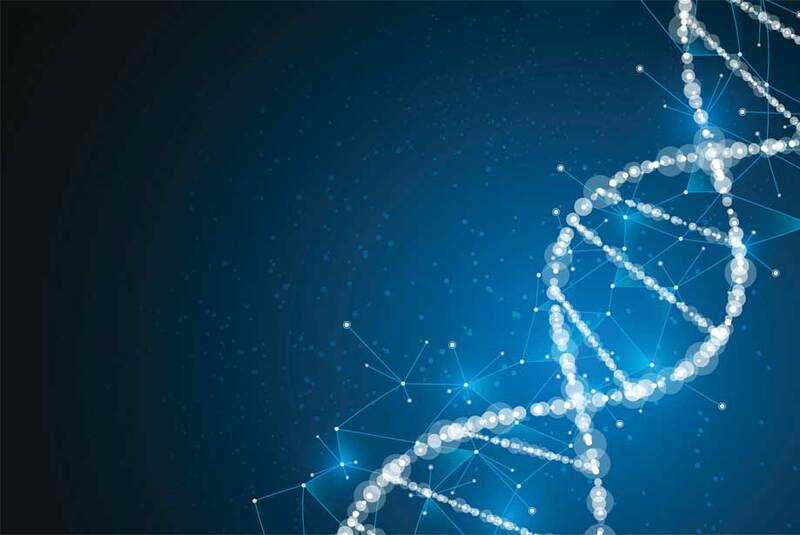 This new understanding of the role of random DNA mutations may lead to an increased focus on improving detection methods to identify early stages of cancer development. Enzo Life Sciences provides a wide variety of products for your Cancer and Genomics research needs. We offer an extensive portfolio including labeling and detection kits, substrates, active proteins, antibodies and inhibitors. Our SCREEN-WELL® Cancer Library, is a collection of 275 compounds that can be used for screening and assay development. The library contains small molecule inhibitors that affect mTOR, aurora kinases, tyrosine kinases, PI3K, and HDAC, as well as many other structurally and mechanically different compound classes. The SCREEN-WELL® Cancer Library is an essential tool for drug development and cancer inhibitor screening. Quick, easy kit for purifying DNA from PCR, gels and labeling reactions for a variety of downstream applications.